Sport Match no rise, 5° down angle. 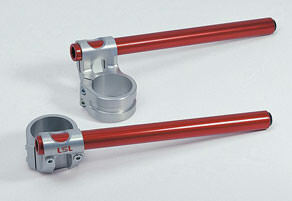 For racing, track days and street, LSL developed an extremely light weight clip-on handlebar. 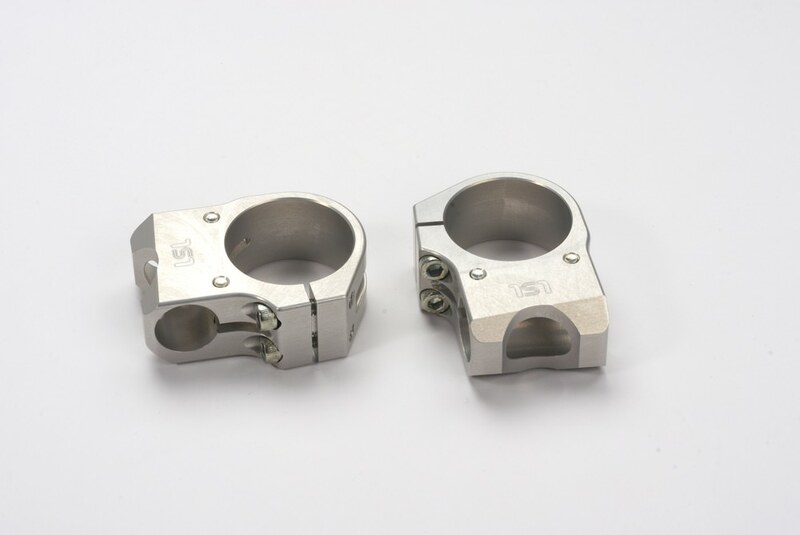 The clamp holds the handlebar with 2 bolts which completely secure the handlebar tube. 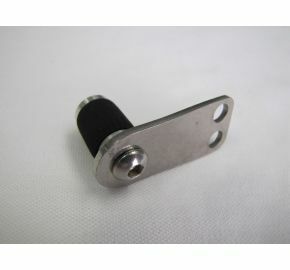 Even if the bolts are not properly tightened the tube cannot fall out. 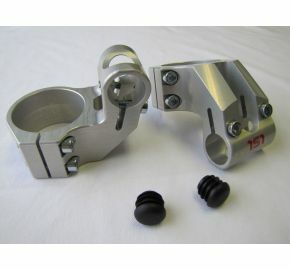 The Sport-match clip-ons are especially useful for track days and racing because the clamp and tube are 2 separate parts. 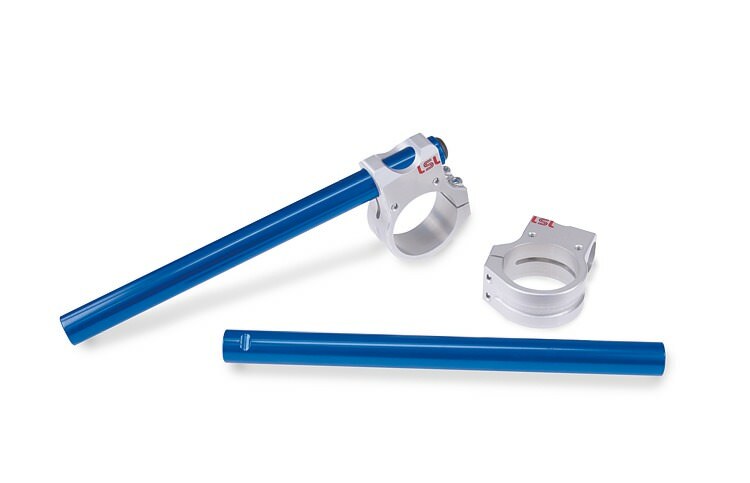 In case of a damaged tube due to a crash, you can easily replace them. 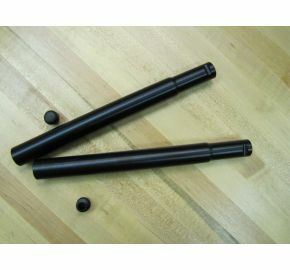 The tubes are available in several colors and the clamps come in either silver or black anodized. Although these clip-ons are extremely light, they can still live up to the tough German TUV regulations. Always in control; improve your seating position and riding comfort that is not normally common with modern sport bikes. On many sport bikes, the position of the handlebars is quite controversial for use on the street. Help comes from our "Offset High" clip-on handlebars. 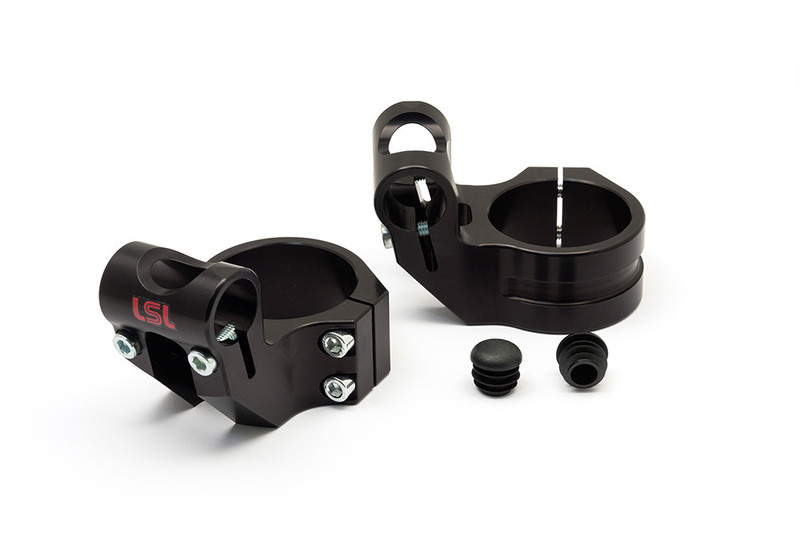 Like no other clip-on, the patented design improves the handlebar position radically. 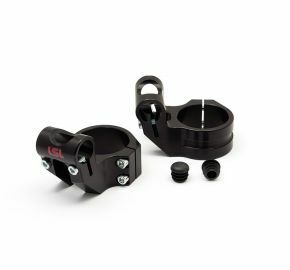 The clip-ons are machined from billet aluminum and bring the handlebars over the top triple clamp (1.5" up) and together with the 5º down angle they create an ideal riding position. 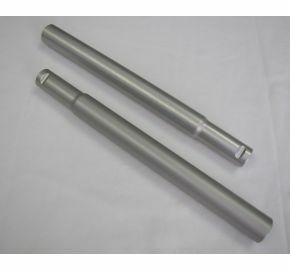 Choose between different fork diameters to match them to your bike. The handlebars are available in silver, black, gold, blue, red and titanium.